Climate variability has been a threat to the socio-economic development of Ethiopia. This paper examined the changes in rainfall, minimum, and maximum temperature extremes of Jemma Sub-Basin of the Upper Blue Nile Basin for the period of 1981 to 2014. The nonparametric Mann-Kendall, seasonal Mann-Kendall, and Sen’s slope estimator were used to estimate annual trends. Ten rainfall and 12 temperature indices were used to study changes in rainfall and temperature extremes. The results showed an increasing trend of annual and summer rainfall in more than 78% of the stations and a decreasing trend of spring rainfall in most of the stations. An increase in rainfall extreme events was detected in the majority of the stations. Several rainfall extreme indices showed wetting trends in the sub-basin, whereas limited indices indicated dryness in most of the stations. Annual maximum and minimum temperature and extreme temperature indices showed warming trend in the sub-basin. Presence of extreme rainfall and a warming trend of extreme temperature indices may suggest signs of climate change in the Jemma Sub-Basin. 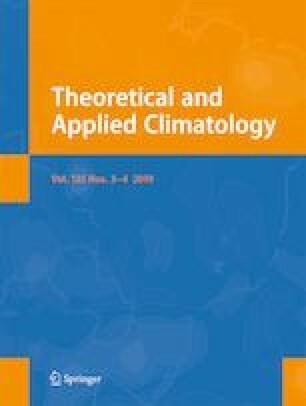 This study, therefore, recommended the need for exploring climate induced risks and implementing appropriate climate change adaptation and mitigation strategies. This study would not have been possible without the financial support given to the first author from the Water and Land Resources Center (WLC), Addis Ababa University, and Debretabor University. We are especially indebted to the Ethiopian Meteorological Agency that kindly provides the daily weather data of this study. Mekasha, A., Tesfaye, K. and Duncan, A. (2013) Trends in daily observed temperature and rainfall extremes over three Ethiopian eco-environments. Int. J. Climatol. wileyonlinelibrary.com. https://doi.org/10.1002/joc.3816. MoWR (Ministry of Water Resources) (1998) Abay River Basin Integrated Dev Master Plan. McSweeney, C., New, M., Lizcano, G. and UNDP. (2008) Climate change country profiles: Ethiopia. http://country-profiles.geog.ox.ac.uk.